This tankard is made of the finest pewter and is handmade in the U.K. Pewterware is made entirely by the skilled hands of a pewtersmith. No two pieces of pewter are exactly the same, minor variations and imperfections show the mark of each craftsman reflecting the art and beauty of all individually made pieces. This full One Pint handcrafted Pewter tankard features a beautiful Usher design and Georgian handle, and will be engraved FREE with a name or short message up to 25 characters on the FRONT of the tankard, BELOW the Usher design. What nicer way to say Thank You to your Usher? This beautiful personalised tankard will be treasured for years to come. 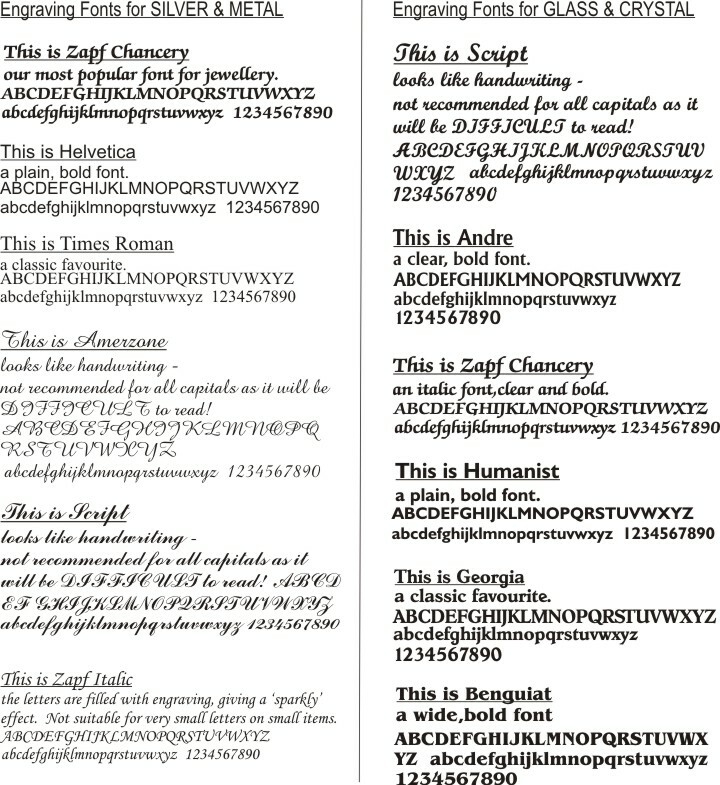 NOW WITH further engraving (up to 60 characters) FREE on the back of the tankard. 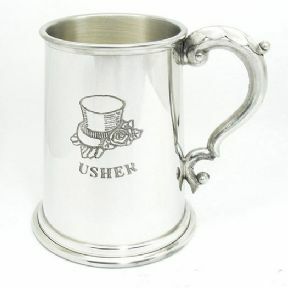 Due to personalisation, we will despatch your pewter Usher Tankard in 4-5 working days. Express Service (despatch within 3 working days) at an additional £3.95.